About - WRITE. LEARN. CONNECT. 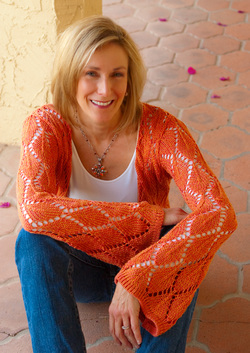 Susan Pohlman is a freelance writer, editor, writing coach, and retreat leader based in Phoenix. Her essays have been published in a variety of print and online outlets including: The Washington Times, Tiferet Journal, Family Digest, Raising Arizona Kids, Guideposts Magazine, Homelife Magazine, The Sunlight Press, and Goodhousekeeping.org. Halfway to Each Other: How a Year in Italy Brought our Family Home is her first book and winner of the Relationships category and runner-up in the Memoir category in the 2010 Next Generation Indie Book Awards. It was shortlisted for the 2010 Inspy Awards. She has written four, award-winning short films. The Toast received two awards in the 2008 TIVA-DC Peer Awards, and Here, There, and Everywhere received awards in four categories in the 2009 TIVA-DC Peer Awards. The Misadventures of Matilda Mench won best screenplay in the 2010 Baltimore 48 Hour Film Project and the 2010 CINE Golden Eagle Award for best Independent Fiction Short. The Pen won best screenplay in the 2011 Baltimore 48. Susan grew up in Montclair, NJ. She graduated with a B.S. in Elementary Education from the University of Dayton in 1981 and earned a M.S. in School Administration from California Lutheran University in 1996. She has lived in Ohio, Georgia, North Carolina, Virginia, California, Italy, and Arizona. Besides becoming an expert in relocating, she has worked as a teacher and a school administrator. In addition to her writing she speaks at conferences and hosts an annual writing retreat every September in Santa Fe, New Mexico. Looking for an editor or writing coach? ​Contact her at susan@susanpohlman.com or visit www.susanpohlman.com.